Most Tampa property owners are surprised to learn their parking lot pavement gradually weakens after being subjected to moisture. Water will damage the parking lot’s surface as well as the layers below, creating significant structural problems that are quite costly in the long run. If the damage gets bad enough, your parking lot’s structural integrity will be jeopardized. Moisture can be damaging and typically results in cracks forming. If you notice any such cracks along the surface of your pavement, do not panic. Professional petromat installation in Tampa is the solution. 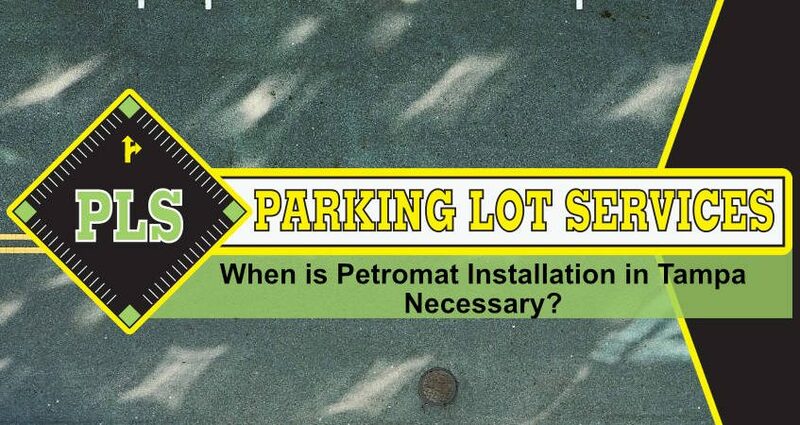 A petromat overlay can be installed to reduce the amount of surface water that moves below the uppermost portion of your parking lot. Petromat overlays form a water barrier between each layer of the pavement. Today’s advanced petromat systems are carefully engineered for the utmost support and protection. The best petromat systems have a unique polypropylene fabric combined with an asphalt cement coat. This system generates road/pavement space between the pavement layers. Your property needs this important barrier to stop water from moving below the surface. The petromat barrier will also prevent stresses that can lead to unsightly cracking. Rely on the professionals for petromat installation in Tampa and you will be pleasantly surprised with your asphalt concrete pavement enhanced durability. The fact that this installation will extend the pavement lifespan is an added bonus. Asphalt petromat installation in Tampa begins with a comprehensive cleaning of the lot’s surface. All dirt, debris, water, and other particles are removed. A special liquid is added to the asphalt binder. Fabric is added to create at least a few inches of overlap that stops wrinkles from forming. The edges of the adjoining surface are carefully tapered, and we even go as far as tapering the drains, manhole covers, monument covers as well as utility covers. This is all completed to achieve a consistent grade. Most importantly, professionals will not settle for anything less than the targeted compaction of 93 percent. Once this project is complete, you will notice the bonded surface is symmetrical, has the ideal density, and a lovely smooth texture. Perhaps most importantly, this surface will make your property that much more appealing to those passing by. Petromat installation in Tampa truly provides practical and aesthetic benefits for every type of Tampa business. If you are concerned about your parking lot’s condition or if your lot has not been inspected in a while, it is time to ask for assistance from the parking lot repair professionals. PLS is at your service for petromat installation in Tampa, asphalt paving, asphalt repair in Tampa and beyond. Contact us today at (813) 880-9100 to schedule an analysis of your property.